I’ll say up front that I’ve known Richard Berman for many years, and loved his work from the first time I heard him. His songs are honest and real and come from the heart, painting lyrical pictures of characters that become flesh and blood in the mind of the listener – whether they’re based on ‘real people’ (individuals or composites), characters from stories, or have sprung straight from Richard’s imagination. Listening to these songs feels like renewing a conversation with an old friend – I’m not sure there’s any higher praise than that, and I give it freely. The souls that populate Richard’s songs deal with the same emotions, boons and pitfalls as all of us. Love, loss, joy, sadness, hard times, grief and hope can all be found here. There are highs and lows to be found in the human spirit – both coming and going. We deal with them all, and if we set our heart and mind to it, we move on through the lows and bask in the highs. It’s the points of the journey that lie in between the two extremes that exist in the shadows – and Richard’s songs have a way of leading the listener into contemplation that help pass the time and the miles in a way that, if we allow ourselves to be more open to the world in which we live, help us bear the sorrows long enough to find the joys. One of Richard’s most moving songs, ‘Holding hands’ (from the album of the same name) finds resolution in the title track of this new release. It concerns two women, friends of Richard, walking through a Wal-Mart in Alamogordo, New Mexico, holding hands – the reactions from those watching them were sadly predictable, and Richard’s song made note of this and expressed a deep hope that tolerance would grow, and that people would come to accept love in all its forms for the gift that it is. Their story is continued in ‘You’re home now’, sung here beautifully by Jamie Anderson, a friend of the two women, wonderfully depicting the longed-for acceptance they sought. In ‘The token of Scotty’s affection’, Richard revisits the game of Monopoly in a way that is wistful but ultimately gently humorous – things change but not necessarily for the worse. It’s a theme that runs through his work like a gold thread in a tapestry, skillfully woven into the lyrics, sometimes so subtly that we don’t recognize it until we’re really listened – and that’s one of the signs of a great writer. I’ve heard several of these other songs from Richard in person – ‘Quoddy Point’ (co-written with the fine songwriter Buddy Mondlock), ‘A father and a daughter’, ‘Marianna’, as well as at least a couple of parts of the ‘Miss Hattie’ trilogy. 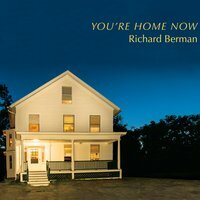 Like all of Richard’s work, these songs are personal and universal at the same time – he draws them from within, and from life experiences, but presents them in such a way that they are almost instantly recognizable as a part of us. There’s no pretense or ego driving this music – just honest feelings, heartfelt words and beautiful, memorable melodies. The production on the cd, by Max Cohen (who also worked with Richard on his ‘Now and then’ album), is just about as perfect as it could be. The musicians who appear here are well-seasoned, sensitive and supportive, and the arrangements never get in the way of the songs, but compliment and frame them, just as they should. This is, quite simply, a fine album – it fits nicely with the rest of Richard’s catalogue, and by all rights should find a comfortable and rewarding home in many collections.